Following our recent press release (//www.drusillas.co.uk/news/tropical-insect-brought-home-in-family-suitcase-) we look into the world of the praying mantis and uncover the weird and wonderful facts that surround this alien-like creature. 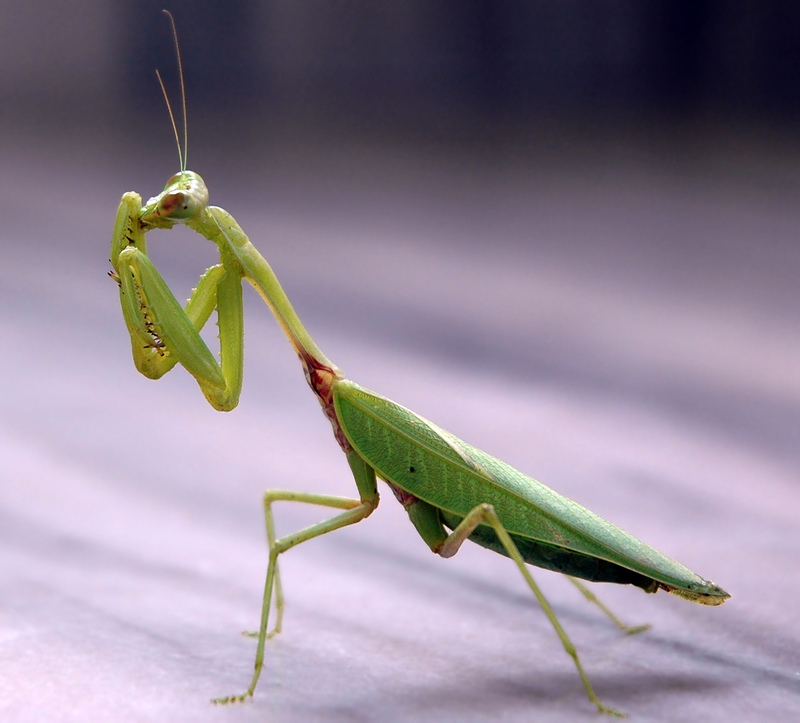 First of all, why is it called the "Praying" Mantis? Well it's all about their arm posture and positioning. With folded fore-limbs they can easily be likened to a human prayer position and as such, have been left with the name. This might not sound so weird but we're only just getting started. 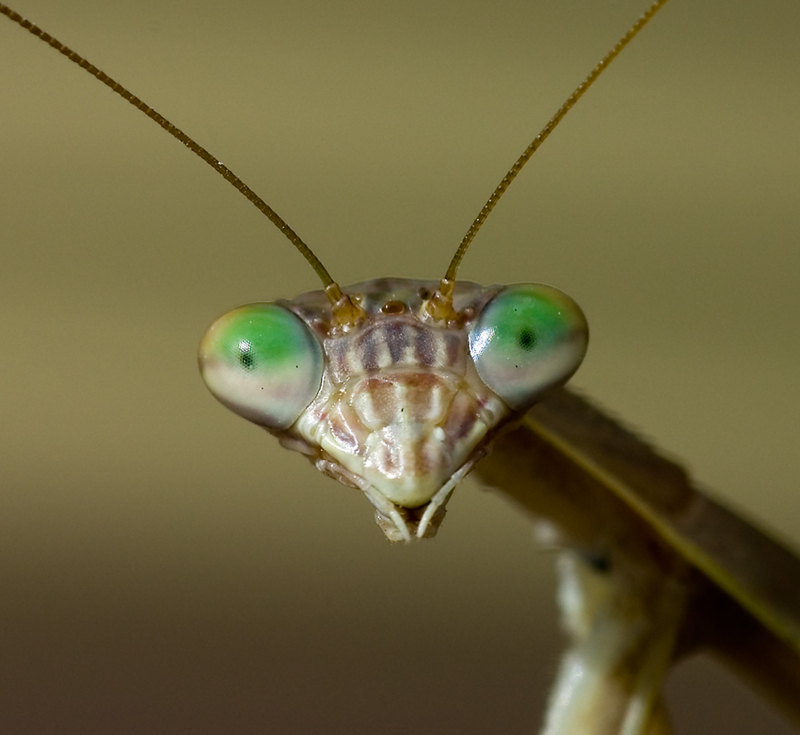 Praying mantids (collective name) have triangular heads that can turn up to 180 degrees (no other insect can do so). With two large compound eyes and 3 other eyes located in between them, it makes scanning their surroundings a doddle. This has obvious advantages in catching its prey - they are ferocious hunters and can eat prey up to three times its own size! They remain motionless and use their perfectly adapted fore-limbs to extend and strike at the perfect point. Not only this, commonly after mating, the female will actually start eating the male alive because quite simply, the male is the nearest high energy/protein meal around which will ensure the eggs in the female will mature faster and develop well. Now that's what you call woman power! Moving away from the post-coital cannibalism - praying mantids are able to change their colour to suit their surroundings. Their colourings vary from green to dark brown which camouflages them into leaves, tree bark and such like. Also, interestingly, some species of praying mantids can sprout wings and fly. Only when they fully mature are they able to do this. Males are generally a lot lighter than females and can fly up to much larger distances. They take flight mainly at night following the scent of a females pheromones (a chemical substance excreted which triggers a response in members of the same species), although this leaves them very vulnerable to predation from bats. Fortunately, the mantids are equipped with a single ear underneath their belly which can sense bat echolocation and therefore warn itself from an approaching bat. 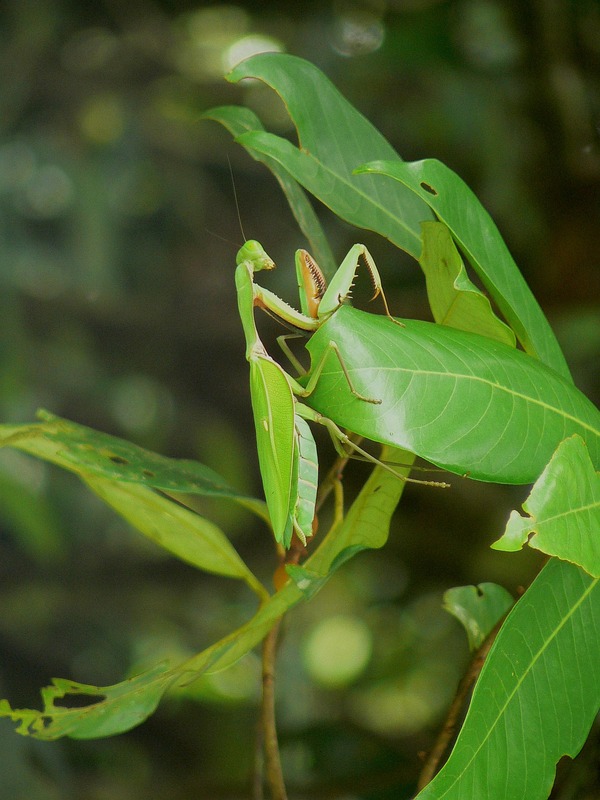 Praying Mantids are grouped into the Dictyoptera family which includes termites and cockroaches. They are found worldwide but generally speaking, prefer warmer climates. They are truly remarkable insects with some truly fascinating facts about them - their evolution and adaptation is second to none and they are very popular creatures. 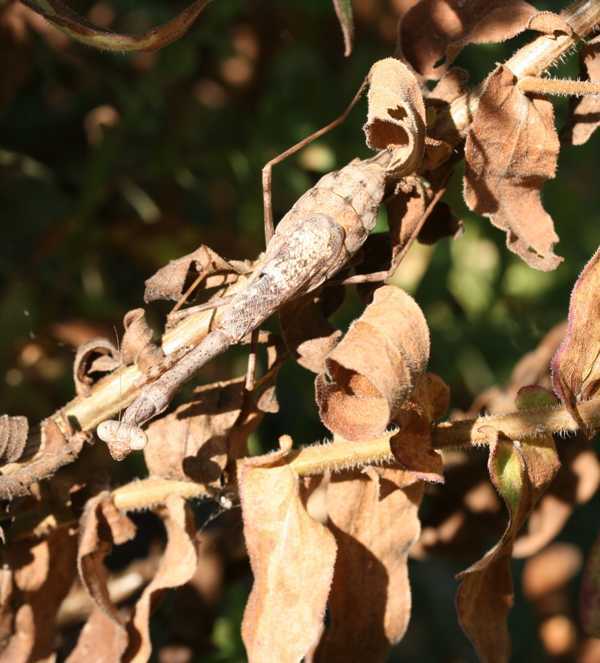 Well done to the Menzies family (in the press release) for safely re-homing a South-African praying mantis to Drusillas.